Note: all maps and satellite images on this page are from Google Maps. There are all sorts of rituals practiced by societies that are considered sacred and meaningful. The passing of winter and rebirth of spring have been responsible for numerous pagan rituals, as well as the passing of the solstice. The birth of a child on a specific day, predicted by a monk on his deathbed, became the reason for the birth of a new Buddhist leader. The rites of passage experienced around the end of childhood, such as learning an important lesson about your innermost purpose and direction, is considered highly important to communities where sociocultural and spiritual guidance are needed for reasons other than just family or social events. For Christianity, rituals often incorporate such activities as receiving messages sent from above with the help of a dove or angel, or the chiseling of words into a stone tablet by energy or fire, or the passing of a wheel overhead with special powers, all of these interpreted as signs to suggest someone should be considered “gifted” or perhaps even a saint. At times, only these most basic of Christian rituals supervene over the more established local traditions related to gifted practices, especially when these alternative forms of practice are not a standard part of Christian teachings. Such was the case for a lot of the early missionary experiences. A missionary may consider himself to be gifted, for having an angel visit him one night during his sleep, but label the same as hedonic or even satanic when it involves an American Indian boy becoming a shaman or a young Indian woman becoming a convert. There is sometimes an irony to all ofthese events, in that even though such practices are often not unlike the missionary agents experiences, like any mortal person the missionary and his/her followers has to decide how to interpret the visit by an angel in order to learn your next path, or in the case of St. Francis of Assisi, receiving the stigmata and thereby reliving the crucifixion experience. These kinds of events are usually considered gifted. The shaman’s experience on the other hand, becoming one with the nature, Gluscap or the Creator, is assigned a totally different label. Mahican Indian Wasamapa, Tschoop (pronounced Job, with long o, soft b) or Brother John, underwent both of these experiences in his life. At a more personal level, we find special events such as those he experienced as Tschoop directly influencing most of the life decisions he made prior to his conversion to Christianity. They provided him with such insights, importance or meaning that through this discovery he became further inspired to take a “new journey” in life, due to some sense of “fate”. Such experiences that such a leader of his people has are often linked to some unusual social status. This is because in many cultural settings, these experiences are felt to have a special purpose, in which the recipient is assigned powers of a divine nature. This more than likely was very much the case for Tschoop during his younger years as an American Indian. Tschoop’s life experience is very much the same as the lives of individuals who became what they represent to Christian Culture today–Saints. All of the steps that they took as a part of their journey to sainthood consist of these tests of pacificity, of valour, of the human mindset. These individuals usually begin their life in no extraordinary way, but with time become a Servant of God, before passing through Venerability and Blessedness, and finally ending up with sanctification and canonization. 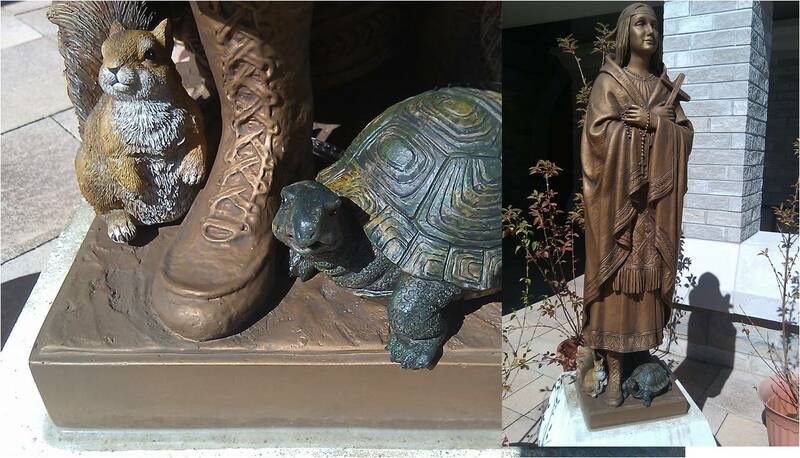 In this way Monk Francis of Assisi became a symbol of nature, Joan of Arc became a martyr, Bernadette of Lourdes became a gifted and tested healer, and Tekakwitha a Blessed Native American spiritual leader of the Mohawk Indians (see latest news on this!). Very much the same could happen with Tschoop, his disfigurement due to his medical state reminiscent of someone with amyotrophic lateral sclerosis or severe lower back and spine injury, his postural weakness a result of aging, his cries for help to the Creator a result of the chronic limitations in day to day living he experienced, like an individual with any chronic and partially or completely disabling disease or condition like MS, epilepsy, spinal bifida, a grown-up thalidomide or heroin baby. One can look at any of these much younger individuals today within a modern hospital, long term care, hospice, or doctor’s office setting and see the Tschoop in them as well. Not all of the people who have the experiences that Tschoop has had reach Sainthood, but they are still a living symbol of some cause–a Servant of God or Venerable who lived unrecognized. Those who do reach this level of spirituality will have demonstrated not only a unique level of endurance, but also some persistence on their own behalf in retelling their life history and any personal lessons they have received about life. They tend to tell these stories mostly to potential followers and supporters. But in many cases, it becomes the retelling of these stories by later supporters that in the end decide swhether or not such possibly gifted messages are to be carried on in history. In just the right circumstances, once these stories are carried on, a certain level of momentum is reached and these stories suddenly appear as though this individual’s life story is really a route being taken to sainthood. This means that somewhere between the life of a typical person who is Mahican Indian and the life of someone heading towards sainthood, rests the true story about Brethren John of the 1740-1745 Moravian Missions in Colonial New York. Brethren John was an American Indian whose soul was captured by both the Creator and by God before his planned departure, at least according to both American Indian and Christian philosophy and tradition. A demonstration that the requirements for sainthood and all the stages of spiritual growth and public acceptance endured before this status is reached, on this Indian’s behalf, is the focus of this essay. The reasons this question must be pursued is made clear by Tschoop’s physical, mental, social, cultural, philosophical and medical life history. –did Tschoop or Brethren John’s life experience and medical condition predispose his history to that of someone who was chosen to serve a special purpose, and if so, is he worthy of becoming recognized for such an experience? There is no specific route in life an individual takes in order to reach sainthood. Achieving sainthood is not something made by choice. The definition of what is required to become a saint is always unpredictable, varying from one individual to the next. There are specific types of events that happen which help to define one’s life as worthy of becoming recognized for possible sainthood or not. Determining whether or not an individual is to become a saint has no special set of interactions or events that must take place for the church and Vatican to consider such a possibility. Since sainthood is a very high religious status for someone to receive from the Vatican, there has to be ample evidence out there to be presented. These stories are always retold by someone playing the role, literally, of “Devil’s Advocate.” The purpose is to define why someone should not become a saint, and once all these reasons are ruled out, it then is made clearer why this person could very well be a saint. Another very interesting thing about sainthood and the process of becoming a saint is that the path taken for someone to become a saint, and the path taken by the Vatican to acknowledge this person for his or her accomplishments, are two very different paths. The evidence for one decision (deciding your path, without ever thinking of your own self as a possible saint) is not the same as the evidence for making the other decision (deciding whether someone else is worthy of becoming a saint). For the general public or people, the ways in which we are served by such an individuals defines whether or not there is a path to sainthood being laid. Such a path becomes more obvious with time, as its accomplishments become more evident to us. To the individual engaged in these events, that individual who is to become a saint should we so choose, this part of life is usually not immediately evident. To members of the Vatican especially, such evidence is usually considered to be lacking from the very beginning, claiming that the arguments for blessedness and sainthood do not exist. This statement then has to be proven to be in error. So the best thing to do is first take a look at the rules that were established to help guide such an official review, and then go over how to consider an individual’s achievements as proof of this special place in the world. After all of these facts are considered, we can then say we have a much better understanding what it means to be blessed and to be a saint. We then realize that a person who goes through this process tends to live through most of the following phases of life: you begin completely devoted to your work, next your work accomplishes something unusual, seemingly gifted, and then because of your spiritual presence in some one else’s life, the memories of your life, your accomplishments, your achievement become some form of inspiration for some one else. Usually this inspiration is rarely talked about, except when it happens to be related to a miraculous healing event, which most of the new Blesseds and Saints of today, will have achieved. Sociologist Erik Erikson had a very useful way of describing this process of life. According to his most devoted followers, scholars who focus on metaphysical philosophy and the meaning of life, to become as gifted as someone who becomes a saint usually is, you have to make it completely through your stage of generativity as a middle-aged adult. During this stage in life you are productive to your family, your friends, and your community. The next stage in life, your period of “Integrity” as some like to call it, is that period of mature adulthood in which you look back upon your past and review your accomplishments, as if preparing for death. During this period of reflection, the individual who matures beyond this stage transcends the traditional meaning and purpose of life, becoming transpersonal and ascending to some greater cause. It is this last stage that differentiates people who begin to take the route towards sainthood from most average and mildly “aware” adults concerning what much of the world consists of. According to Erikson’s followers, the gifted individual goes through this transcendental stage in life when he or she goes that one step further by giving your simple self back to your community. You then reach a state where you give up your inner most self, your soul and spirit per se, to become what you are, in some eyes and mind, destined to become. Also according to Erik Erikson’s followers, there is this sense of mysticism that someone experiences who goes through this stage of transcendence. Such is almost always the case for someone who in the afterlife becomes a saint. 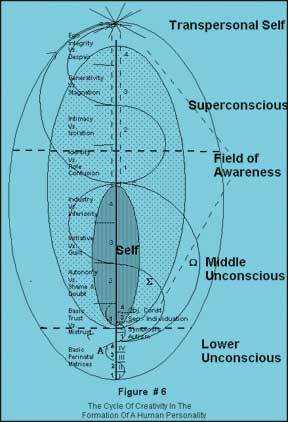 The transpersonal psychology way of interpreting this event is to claim that due to one’s own unique meaningful life or life experiences, some form of final proof to meaning of “self” has taken place deep within. Through this process you thus become your own convert. You suddenly understand and emotionally and spiritually believe in the path you are taking, even if you’re an atheist, agnostic, existentialist or nihilist. For this reason death is no longer a concern, you have reached your ultimate goal, found your purpose, placed yourself upon that pedestle, and then voluntarily taken that one last step down to be with others and be whom it is that you want, were destined, to be. This philosophy is defined well by Jewish psychologist Abraham Maslow. According to Maslow’s “Hierarchy of Needs” model, the average adult usually has no problem reaching level 7 in the ‘pyramid of life’ scheme. Reaching that 8th stage in its most complete form, however, is difficult to actualize. Many people are capable of reaching that transcendental level, only to “become grounded” once again. These people realize, and then change their life accordingly, but afterwards come back to “reality” as they perceive it, in order to finish up their physical life. They often do this without ever looking back to determine if there was anything else they could have done. They never completely actualize what it was they were supposed to do with this life. (See http://usm.maine.edu/~atkinson/mystic_nature_of_human_developme.htm for more). Starets, Rabbis, Monks and Shamans. There are many different kinds of “first steps” that one can take, or should I say the knowledge and confirmation of one’s history and personal story take in the afterlife, before becoming a blessed or a saint. Those gifted as religious leaders come upon this path first as people. Such a person in Russian culture was termed a staret, someone who becomes accepted as important through ascetic experience, and is assumed as such by the people long before any authority has made such a statement. Elders, hermits, monks and nuns go through this process of social definition and authentification as a moral and social practice, not as any official legal or leadership practice. Russian orthodox starets are in general highly respected religious leaders, as are non-Christian spiritual leaders like caliphs, sheikhs, gurus, sages, etc. They are important to local history, and to history in general, but for the most part we never really learn much about these important leaders of their people. When we do, it is because their accomplishments have resulted in some sort of uniqueness, primarily due to the outcomes of their influence upon a social setting, enough to facilitate their transition to the public acknowledgement of their life history as a servant to God. Servants of God. Some individuals, as they continue this way of life, come to be considered as extremely “gifted” in life. Their ability to perform as some spiritual or religious leader is considered exceptional. These important people are contributors at both the church and community level, and have undergone a change in their personal living behaviors in order to better meet the needs of these levels. Generally speaking, the need for educating the people, their social rights and issues related to social inequality are typically the areas focused upon by Servants. These services to the people do not necessarily have to pertain to public, community or personal health related matters but often they do since social inequality, health and quality of life issues tend to go hand in hand. Examples of such individuals include: God Felix Varela, a church leader and Cuban rights advocate, Rose Hawthorne Lathrop, a Sister and then Mother who helped in the development of St. Rose’s Free Home for Incurable Cancer, and Simon William Gabriel Bruté de Rémur a missionary leader in Indiana whose professional responsibilities played an important role in the establishment of a mission for the Potawatomi Indians. Fifty years after the period of colonial history in the Hudson Valley, there was a series of events which resulted in assigning this status to Prince Demetrius Augustine Gallitzin (December 22, 1770 – May 6, 1840). He was a Russian aristocrat and Catholic priest who emigrated to the Allegheny Mountains and later became well-known as ‘The Apostle of the Alleghenies’. In 1799, Gallitzin founded the Loretto settlement in Cambria County, Pennsylvania, the roots of which were “the McGuire Settlement” originally established by Captain Michael McGuire in 1788. Following McGuire’s death in 1793, he bequeathed his 1200 acres (5 km²) to Bishop Carroll, who used it to establish a full Catholic community. Gallitzin then turned this community into the first English-speaking Catholic settlement in the United States west of the Allegheny Front. Currently considered a Servant of God, Gallitzin has been under investigation for possible canonization by the Catholic Church since 2005. Venerables. 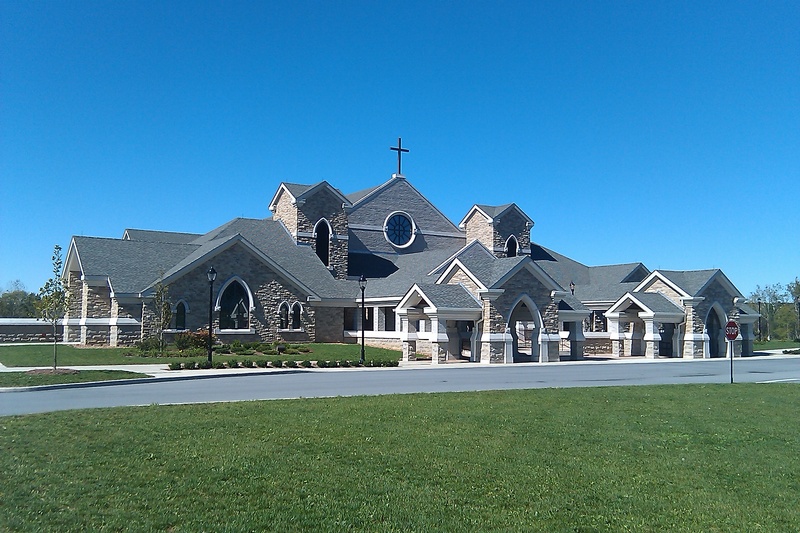 According to the Roman Catholic Church, a venerable is someone who attained “the first degree of sanctity and is worthy of reverence, especially by a religious or historical association.” Individuals who receive this status are judged to have made important contributions to their community, paying special attention to members of society who are often considered highly depraved or isolated from social normality, usually due to some personal life-related and/or socially-defined series of opinions and events. Due to this “handicap” in life, venerables become important contributors to a specific cause, an important addition their local and professional community, as they come to serve a special purpose assisting people in dealing with the special obstacles in their life. In addition, these people are usually the founders of unique non-profit groups designed to serve a greater purpose with this special group. 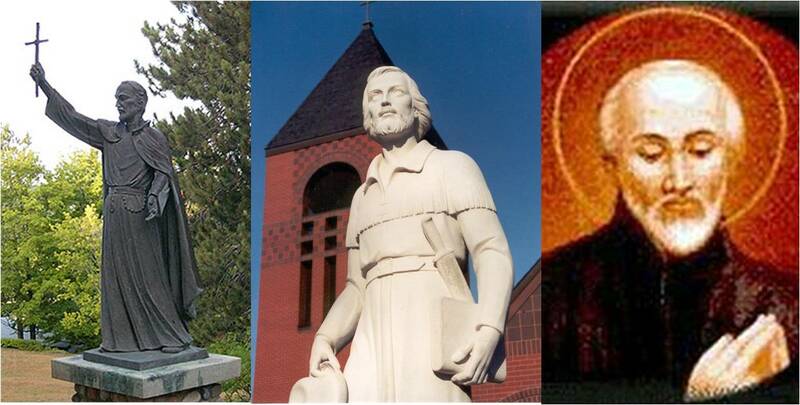 Venerables Bede of Northumbria, Wearmouth Jarrow, Anne Catherine Emmerich, and McGivney, the founder of the Knights of Columbus, are examples (see drawings above). An example of a venerable close to the Native American missionary setting is Father Samuel Charles Mazzuchelli, O.P. ( November 4, 1806 – February 23, 1864 ). Mazzuchelli was a pioneer Italian Catholic missionary who helped bring the church to the Iowa-Illinois-Wisconsin tri-state area. In 1993, Pope John Paul II declared Father Mazzuchelli to be Venerable, the first step in elevating him to sainthood. In November 2006, the 200th anniversary of Mazzuchelli’s birth, people began campaigning for Mazzuchelli to be elevated to sainthood. 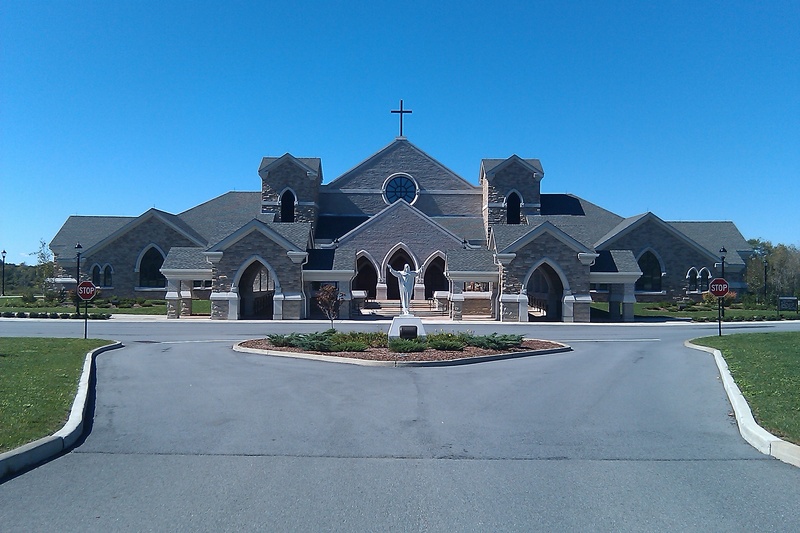 Supporting this social movement were the Sinsinawa Dominican sisters, whose work in August 2008 led to an official inquiry by the Diocese of Madison into a presumed miracle performed through the intercession of Mazzuchelli. This story states that Robert Uselmann, a resident of Monona, Wisconsin, went to the Sinsinawa Mound with his family in 2001 to pray to Mazzuchelli for his intercession in curing him of cancer. While praying with the sisters, he held onto his Mazzuchelli penance chain. Uselmann subsequently discovered that the cancerous tumor in his lung had disappeared. Blessed. An individual achieves Blessed or Beatification status when he/she has undergone such a life change and experience so as to be considered a martyr or a “confessor.” A person who is considered Blessed has been consecrated, made holy, and is considered not only fortunate (pardon me for using this understatement), but also divinely favored, inspired and/or assisted by the Holy Spirit. These features make someone worthy of this recognition more than just due to becoming someone who is admired and adored, this person is also someone whose life experience many followers aspire to take as a model for themselves. Quite often, this person’s life experience changes everyone’s life. The Blessed who is also a Martyr is someone who usually suffers some sort of persecution and death for his or her efforts, usually serving as symbol for a cause and a class of people, a country or an organization related to that cause. Often in history this person is known for his/her refusal to renounce a belief, usually a belief that is religious in nature, or related to political rights or social rights. As a result of this political and social stance, he/she usually experiences a considerable amount of suffering. The Blessed who is also a Confessor is someone who has suffered persecution and torture for his or her faith, but not to the point of death. The Confessor is the oldest form of beatification in use. Those who are considered Blessed, and who are currently not categorized as such by another title or life experience, are usually classified to be either a martyr, an apostle, an evangelist, or in rare cases, “a virgin”. Blessed Junípero Serra, founder of the Spanish missions in California. Blessed Marianne Cope, worked among the lepers of Hawaii. Blessed Carlos Manuel Rodriguez, lay minister in Puerto Rico. Blessed Francis Xavier Seelos, missionary preacher. Blessed Kateri Tekakwitha, Lily of the Mohawks. Becoming a Saint. The only thing left to define is “what is the difference between a martyr and a saint?” The difference is one more miracle. One becomes Blessed when the first miracle can be documented by and for the Vatican. Once the second is verified, this person becomes a Saint. Google Searches for: “Tekakwitha Canonization”, and October 21, 2012 news. Link to previous news report. How does becoming a Blessed or a Saint apply to Native Americans? 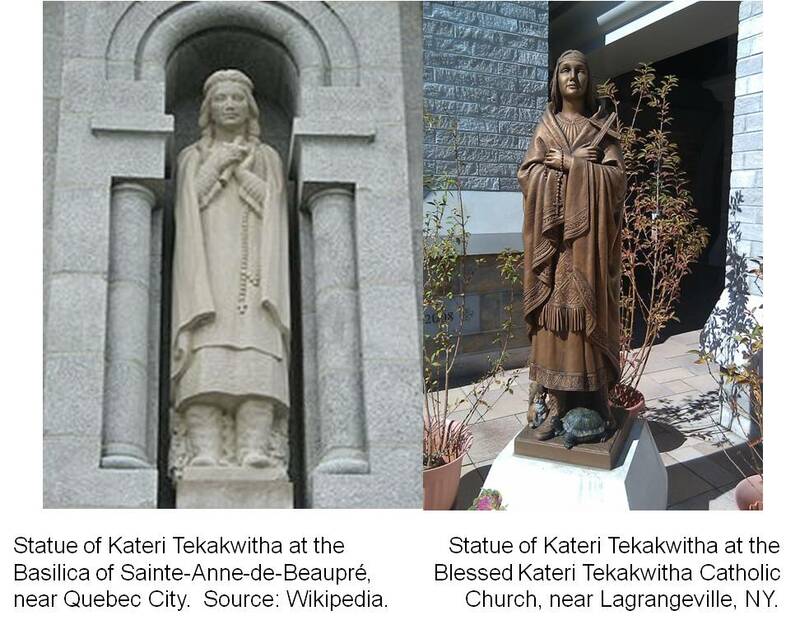 The recent increase in interest in attending churches devoted to Kateri demonstrate that this sort of Blessedness serves people who might otherwise have never been served by the Church. People have to sense some sort of personal connection to a particular saint’s story to really learn the meaning of that life story. For Kateri Tekakwitha, there are a number of lessons we are taught regarding Native American life and culture, as well as Christian life and culture. In the case of this presentation, as this story relates to the Moravian-Christian Indian Tschoop or John, these events can be assigned even more meaning to people who believe that Tschoop could become such an example. Therefore, the first question is: ‘Does John (Tschoop) deserve to be recognized as a Servant of God?’ If any later recognitions become necessary for John, they will probably occur for no reason of my own. Without much experience making the decision as to who becomes a Martyr, a Confessor, a Venerable, or a Servant of God, at best all I can legitimately do is argue that there is due cause for considering Tschoop and his life experience as that of a Venerable in the least, or even more, one of a Martyr who was Blessed. But before discussing this aspect of Brethren John’s spiritual fate, we have to better understand the events which led to recognition of another Native American as more than just someone who was a Venerable. Such are the events that led to the fairly recent Blessing of Mohawk Indian Kateri Tekakwitha. Tekakwitha was born in 1656/7 in a Mohawk fortress in Ossernenon, near what is now Auriesville, New York. Her father Kenneronkwa was a Mohawk chief. Her mother, Kahenta, was a Catholic Algonquin woman. When Tekakwitha was four, smallpox swept through the Ossernenon region. By catching the small pox, Tekakwitha was left with unsightly scars on her face and poor eyesight. This same outbreak took the lives of her brother and her parents, leading to her adoption by her uncle, chief of the Turtle Clan. As the adopted daughter of a chief, many young men sought to marry her in spite of her disfigurement. It was during this period in her life that Tekakwitha realized these marriages were sought out only for political purposes. With time, she began taking on more and more interest in Christianity, and began to consider it a possible route in her life. Tekakwitha’s uncle continued to encourage her not to become Christian. In spite of this she continued her pursuits. As other members of the tribe continued to chastise her, she took this to represent a meaning for her faith and spirituality. In time, her beliefs led her to modify several traditional Native American ritualistic practices into practices more representative of Christian faith and tradition. For example, at times she exercised physical mortification of her body, actions she took to symbolize her path to sanctity. On occasion, Tekakwitha would also put thorns upon her mat and lie on them, praying for the conversion and forgiveness of her kinsmen. Since piercing the body to draw blood was a traditional practice of the Hurons, Iroquois and Mohawks, Tekakwitha believed that she could do the same, offering her blood as a symbolic imitation of Christ’s crucifixion. She would later recreate another form of Christ-like suffering by stepping on burning coals. These Christian practices within a traditional Native American environment led to her persecution by her kin, including numerous threats to her life. This ultimately led her to depart from her Native American community to reside within a Native American Christian community in Kahnawake, Quebec. From that point on Tekakwitha, now Katrina, lived the rest of her life dedicated to prayer, penance, and care for the sick and aged. In 1679, she engaged in the Catholic expression of Consecrated virginity by taking a vow of chastity, as. A year later, at just the age of 24, Kateri died on April 17, 1680. Her last words are said to be, “Jesus, I love You! Immediately after her death, Kateri’s scars from the small pox vanished, revealing a woman of immense beauty. Several of those who attended her funeral were said to have been cured of their illnesses that day. In the weeks following her death, two different individuals said she appeared before them. Attempts to canonize Katrina began in 1884. The first miracle attributed to her intercession was of Sister Hysteria’s (of the Order, Sisters of the Flowing Blood of Christ) clearing up of a bad case of facial ring worms. On January 3, 1943, she was declared Venerable by Pope Pius XII. She was beatified by Pope John Paul II on June 22, 1980, since which time she has been referred to as Blessed Kateri Tekakwitha by members of the Roman Catholic Church. Kateri is the first Native American to be so honored in the Roman Catholic Church, and as such she holds a special place of devotion among the aborigines of North America. To even more fully understand the reasons for the choice of Katrina as Tekakwitha’s baptismal name, one has to see clearly the parallels that existed between Tekakwita’s life and the life of her Baptismal Saint Catherine of Siena. The following is a brief biography of St. Catherine of Siena’s life, pulled from http://www.catholic-saints.info/roman-catholic-saints-a-g/saint-catherine-of-siena.htm. The story and history of Saint Catherine of Siena. Catherine, the daughter of a humble tradesman, was raised up to be the guide and guardian of the Church in one of the darkest periods of its history, the fourteenth century. As a child, prayer was her delight. She would say the “Hail Mary” on each step as she mounted the stairs, and was granted in reward a vision of Christ in glory. When but seven years old, she made a vow of virginity, and afterwards endured bitter persecution for refusing to marry. Our Lord gave her His Heart in exchange for her own, communicated her with His own hands, and stamped on her body the print of His wounds. At the age of fifteen she entered the Third Order of St. Dominic, but continued to reside in her father’s shop, where she united a life of active charity with the prayer of a contemplative Saint. From this obscure home the seraphic virgin was summoned to defend the Church’s cause. Armed with Papal authority, and accompanied by three confessors, she travelled through Italy, reducing rebellious cities to the obedience of the Holy See, and winning hardened souls to God. In the face well-nigh of the whole world she sought out Gregory XI. at Avignon, brought him back to Rome, and by her letters to the kings and queens of Europe made good the Papal cause. She was the counsellor of Urban VI., and sternly rebuked the disloyal cardinals who had part in electing an antipope. Long had the holy virgin foretold the terrible schism which began ere she died. Day and night she wept and prayed for unity and peace. But the devil excited the Roman people against the Pope, so that some sought the life of Christ’s Vicar. With intense earnestness did St. Catherine beg Our Lord to prevent this enormous crime. In spirit she saw the whole city full of demons tempting the people to resist and even slay the Pope. The seditious temper was subdued by Catherine’s prayers; but the devils vented their malice by scourging the Saint herself, who gladly endured all for God and His Church. She died at Rome, in 1380, at the age of thirty-three. For parallels between St. Catherine and Katrina, we find there to be numerous events or activities, enough to make you think that Katrina’s story is a by-product or reiteration of Catherine’s touching story. Both experienced such events as the engagement in prayers and/or the use of a rosary or other symbolic prayer-related belongings as a child. Both experienced persecution for the refusal to be wed someone, followed by taking a vow of virginity to symbolize their marriage with Jesus. Both St. Catherine and Blessed Katrina also turned to a life of charity, engaging in a life long process of praying for “unity and peace” for the remaining part of their lives, taking on a view of society as if its people were potentially up to no good and thus their society ‘full of demons.’ Even more symbolic perhaps is the fact that both Catherine and Katrina engaged in activities related to the mortification of flesh (although less mortifying for Catherine). For Catherine of Siena, these wounds were stamped upon her body by God (form and appearance not described). For Katrina, there were the marks of her small pox history, her tendency to pierce her skin based on a traditional Huron using thorns to draw her blood as a symbol of Christ’s blood, and her tendency to walk on hot coals at time as a test of her trust and faith. 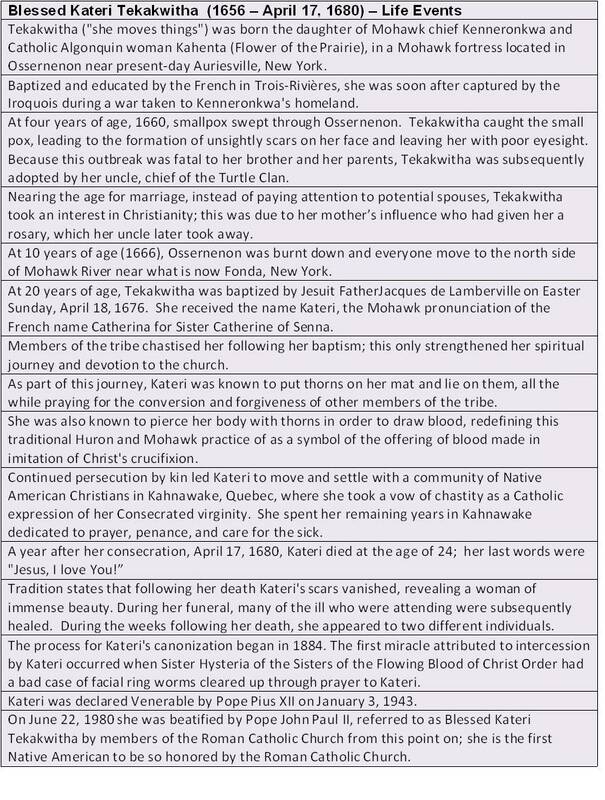 Thus the selection of Tekakwitha’s baptism name. Missionary agents could see the spiritual messages portrayed by Katrina’s own personal life experiences. Thus they defined their Christian interpretation of her life. The administrative steps taken to establish sainthood for someone, upon first glance, seem basic. They require that someone who is officially Blessed perform another miracle. This second miracle has to be officially accepted as such by the church. However, the previous miracle and the steps needed for some to be beatified due to this event are very much the limiting factors in this decision-making process. For this reason it is the steps taken to define a person as Blessed that play the most important role in determining whether or not one will be placed on the path to sainthood. Prior to beatification, there are two other stages a person often has to go through to become Blessed. In general, this person has to have recently become deceased, and during his or her lifespan considered a Servant of God. The next stage thereby becomes the decision as to whether or not someone who is Venerable once he or she has departed. This is the process followed by the Vatican, but is not necessarily the social process already out there which regular people tend to adhere to. For example, many leaders are considered servants of God in some unofficial sense, with other leaders treated as Venerables, people who are respected by both society and church as such, for example the Dali Lama. Some cultural settings might even consider someone as ‘Blessed’ even though he or she is not defined in the same manner by the Vatican. For the Vatican, this beatification process followed by the canonization process requires that the answers to specific questions be documented and reviewed by the Vatican in order to determine whether or not a person is worthy of such an ascent. The following have been defined as the three ways in which one becomes considered for beatification or sainthood. lived an exemplary life, complete with evidence for engaging in actions and activities worthy of imitation and in general directed towards the betterment and goodness of mankind. lived an eventful life, one that was ended due to a death considered to be heroic in nature and a sign of martyrdom. lived a life in which he/she underwent a major conversion of heart, to such an extent that this individual’s previous immoral life was abandoned in order to replace it with a life of outstanding holiness. For the first life scenario, examples that come to mind include St.Francis of Assisi, St. Patrick, St. Thomas Aquinas, St. Thomas More, and St. Rafael, a saint of medicine. For the second scenario, we need only reminded of the life of martyrdom exemplified by such important leaders as St. John the Baptist, St. Joan of Arc, St. Isaac Jogues, or St. Father Damien of the lepers surviving on the Hawaiian Islands. For the third scenario, examples of the Saints who come to mind include St. Paul, St. Augustine, who was both a student and a teacher, and St. Bernadette of Lourdes. Generally speaking, to be considered for beatification, a candidate must a) be deceased for at least five years, b) lived a life of extraordinary asceticism symbolized by such behaviors as self-denial, continuous faith, evidence for providing ongoing work for the good of mankind such as by helping the poor and sick, and due to these life practices, and c) inspire others to do the same. Next, the search for miracles begins. The Congregation is required to investigate any claims made about two posthumous miracles. If there is evidence for possible miracles linked to this individual, these are investigated. If no such claims exist, the Congregation waits. Each miracle that is report has to be reviewed quite extensively, by both religious and scientific authorities. Medical miracles require an examination by a board of five doctors, who must be in complete agreement with the conclusion that no other possible explanation exists for the cure under review. The agreement and approval of the first miracle earns the candidate beatification, the agreement and approval of a second miracle assures sainthood. The overall process consists of three distinct councils of inquiry: one seeking a candidate’s “reputation for sanctity and miracles,” the second determining whether or not the decrees of Pope Urban VIII regarding “the prohibition of public worship of servants of God before their beatification” have been obeyed, the third analyzes the content of a candidate’s social and literary output. Once the third council has completed its tasks, the literary output of the candidate is analyzed, translated into Italian, and revised by theologians appointed by the cardinal relator in preparation for delivery to the Congregation for consideration of beatification. Acceptance by the Congregation converts the ‘Servant of God’ title to ‘Venerable’, and any miracles attributable to this person are investigated. Following a review of the Venerable candidate’s life, writings and miracles, the final council votes for or against beatification. Acceptance leads to the issuance of a decree on this by the pope. The beatification then takes place in the Vatican Basilica, and “a pontifical Brief” is issued permitting the public cultus and veneration of this beatified person, who may now be referred to as Blessed or Beatus (for more detail, see http://www.newworldencyclopedia.org/entry/Canonized). Verification of a second miracle results in a repeat of the latter part of this process before canonization can take place. We all have our own personal definition as to what constitutes a “miracle.” Miracles play a very important role in assisting people through their conflicts in life, their non-abated witnessing of social inequality, their lack of food, money or other basic needs for social survival. In the Vatican world, the identification of a miracle requires indisputable proof that a religiously significant experience or event has taken place. Such a “miracle” is defined as an event that not only results in awe and wonder for what has just taken place, but also lacks an easily identifiable cause for its “natural succession” in life. A miracle is something that has but one explanation, be it an explanation based on individuality and personal philosophy, or one based on group-defined expectations as to what kinds of events define a true miracle. The word “miracle” is derived from ‘mirari’ , which is Latin for “to wonder or marvel”. By adding the ‘-cle’ ending, this term changes from a verb to a noun that translates into “a wonder or marvel.” Therefore, one of the most important characteristics of a miracle is that it is something that took place without expectation or need for planning. The outcome of such an event in turn is unexpected, unanticipated, and leaves one in a new state or condition to carry on with whatever events are left for you to experience in life, you “gifts” as some people call these events. Whenever a miracle is officially claimed or reported, it must be assessed by leaders of the church and Vatican. During the 1730s, about the time the Moravian Missions had begun its plans, an increasing number of such claims of miraculous healings led Cardinal Lambertini, later Pope Benedict XIV, to lay down several rules in 1735 for these events. 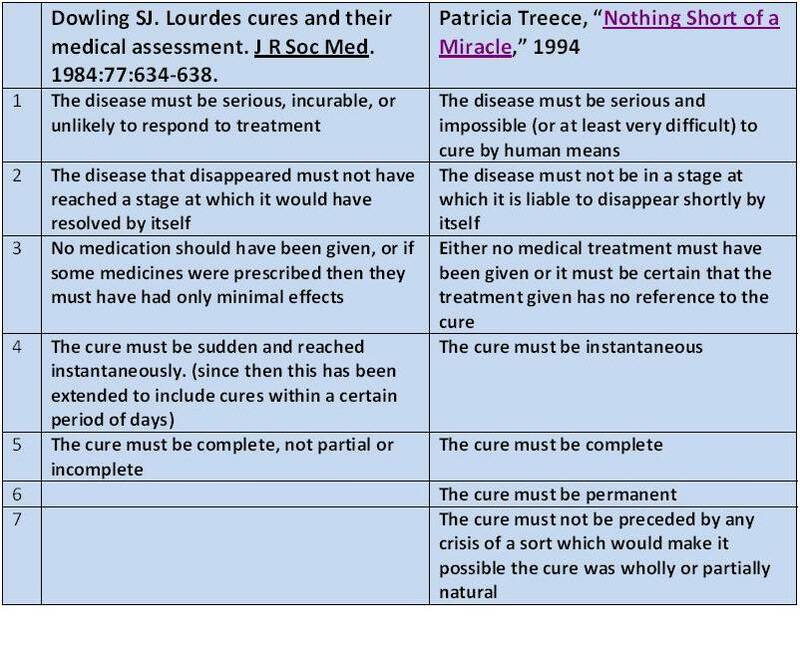 These have since served as the criteria used to determine whether or not a medical miracle has happened, especially in such places as Lourdes. In two fairly recent articles on evaluating the validity of medical “miracles”, the following summaries appeared of Pope Benedict XIV’s criteria, applying them to a more contemporary viewpoint of a healing that is in fact a miracle in the eyes and minds of modern medical practitioners. These rules are applied to any reviews that are performed of any cures that ensue due to possible spiritual intervention. Applied to cures received through the water of Lourdes, France, approximately 0.3% (3 in 1000) people who go to this site claim to be cured. Of these, only 0.003% of the people who travelled to this site for a cure are eventually recognized as having experienced a miracle by the Catholic Church (see http://www.lourdes-france.org/upload/pdf/gb_guerisons.pdf and http://www.theworkofgod.org/Aparitns/Lourdes/Lourdes1.htm). It is important to note that because history has a tendency to result in changes in human thinking, it is hard to conceptualize what exactly members of the Vatican were contemplating whenever they had to agree with or denounce a given “miracle” that took place in the recent or distant past. Because the philosophy of life and the theories used to define science are so different between then and now, it is difficult to conceptualize much less compare modern-day definitions for this event with definitions published a century ago or more. No matter what the reasoning and/or cause, each miracle or cure requires the same examination. In the case of Lourdes, all of these claims must be examined by the doctors at Lourdes, medical and theological. Each of these events undergoes a rigorous evaluation of the claims made to them, rejecting most of them for any of a variety of reasons. It is possible that this aspect of the Vatican’s behavior might have prevented or delayed some of these events from obtaining official approval. We are provided with some insights into the review of miracles during the 17th and 18th centuries due to the Jesuit writings about their New France missions. These were translated, reviewed and republished quite extensively during the mid to late 1800s, forming a collection of up to 73 volumes containing hundreds of letters and communications from the Jesuits written and published over the years. In these writings we see evidence for and against the acceptance of miracles on behalf of Jesuit missionary agents and Jesuit leaders back home, providing important insights into why Kateri became Blessed (and about to become sanctified!). Although almost none of this work with the Jesuits pertains to Mahican history, the fact that it relates to the neighbors of the Mahicans, the Iroquois, Hurons and other Native American groups, suggests that some of these observations and comments might also pertain to Mahican culture. Keep in mind that it was Jesuits that wrote this series of witnessed events and explanation, with a Jesuit upbringing and way of thinking that led to many of the culturally based statements found within these writings as well. To the American Indian, a shaman is a shaman, to the Jesuit he or she is not so easily and outwardly defined, as ‘good’ or ‘bad’ oftentimes (but more so as ‘bad’ unfortunately). In the case of Christianization and the successful accomplishments of baptism and the like, we do find some writings that can be related to Mahican culture. This is because although Mahican culture is very different from Iroquois and other Indian cultures, Jesuit Culture, even when spoke and written in French, is not that different from Moravian Missionary culture in many ways, in particular those regarding meeting the needs of a shared Higher Power, not to mention the Vatican. The pathway taken to becoming a Saint is neither describable nor predictable. When we review the stories of Saints like any of the above, there is no telling what factors played the most important roles in these decisions. The final step taken for becoming a saint is the performance of a second miracle. This undergoes extensive review, but perhaps not as extensive and the processes involved with beatification. For the most part, only the second miracle has to be addressed this time through. If and when such an acceptance does happen, we accept this conclusion with hopes that these miracles will continue, and they do. The people get transformed. This individual is, after all, a Saint.